Many years ago there was a severe drought in melnadu located near present coimbatore The drought continued for almost 12 long years . An old couple who were living there decided to leave to the banks of cauvery and reside near the holy Sri Ranga Kshetra . They shifted their camp near to the Lord’s temple . Good or bad is Lords divine will .They surrendered to the Lordships and managed their daily lives . One day they observed huge number of srivaishnavaites following Swamy Ramanuja to the banks of cauvery . Curious to know about the following , they followed Swamy Ramanuja and found the entire place were his followers . The elderly lady was charmed by the divine tejas of Swamy Ramanuja . She walked near the banks and asked the villagers ,Who the revered swami was and those followers . The group replied that Swamy Ramanuja was the king of Ascetics and he moves along with 700 ascetics 74 Acharya Purushas , 1200 Ekangees and 300 kotti ammai . Several kings and sattadars are his disciples . You are blessed to have his darshan remarked a old man . She liked the place and the vibrations .She used to observe Swamy Ramanuja completing his temple duties and entering seven houses daily for alms . She tried her best to have an audience with the great seer but was unsuccessful . One day as she waited she saw Swamy entering her house . She offered obeisance’s and with all humility spoke to him . Oh Revered Swamin … please listen to my prayer …. You are a sanyasi who had given up everything in life and there are no possibility for having wealth , gold , jewels , mansions or any other worldly prosperity. You just have a saffron cloth , a Tridanda and Bikshu .When that is the case how was that so many people are following you all the time ? and landlords , kings fall at your lotus feet ,and whereas you are living on biksha only. what is that you can give to so many followers who are with you . What is the secret behind all these disciples as I don’t find any difference between a King and you . You are truly YathiRaja..
Swamy Ramanuja with abundant compassion told the old lady , Mother ! 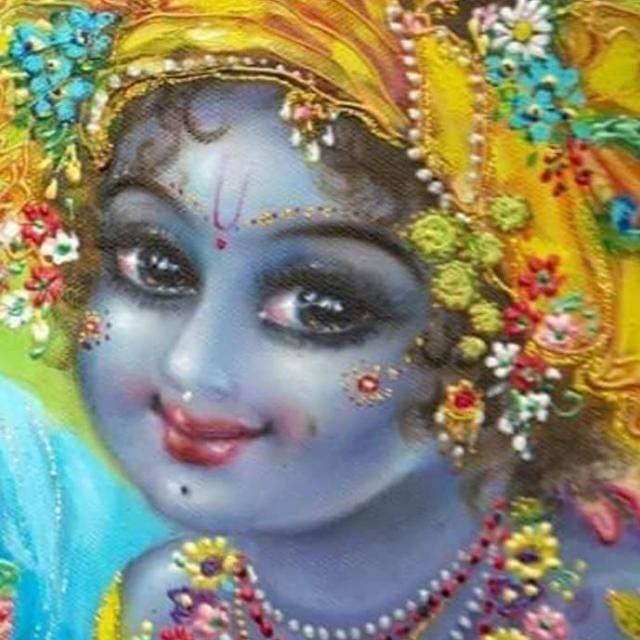 I don not have any wealth to share but I give them bits of information about Lordships and have a mantra that will cut the bonds of samsara which is full of worldly cares and that as a result of this they would get grace of the LORD which would confer eternal bliss in the form of their attaining to the presence of Lord Vaikuntanatha . The lady was quick to request Acharyar for the mantra for her upliftment as she was in a pitiable condition . She fell at Swamys feet and shed copious tears , in great distress crying all the while that Swamy must grace her . 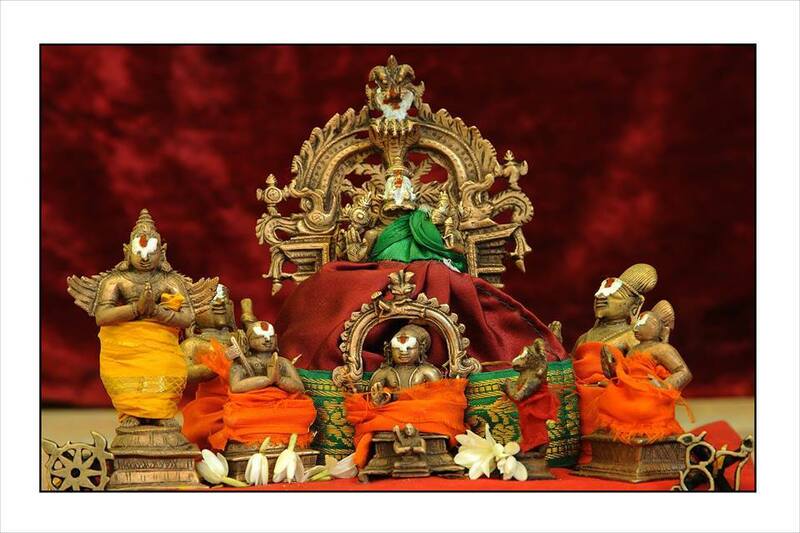 Swamy Ramanuja looking at her supreme devotion informed the disciples to help her in her endeavor . They guided her to be at ashram for the initiation ceremony and succeeded in becoming Swamy Ramanujas disciple .With great mercy he asked her to repeat the Guruparampara verses and later initiated her with the sacred ashtakshari mantra . Swamy Ramanuja performed Panchasanksaram, did Mantra Upadesam and the lady got a Dasya Name as “Kongil Periya Piraattiyaar”. The old lady was overjoyed and offered her obeisances to the revered saint with all humility . After few months , the situation in Karnataka was better and the old day decided it was time to leave Srirangam . Kongil Piratti went to Swamy Ramanuja’s mutt and seeking Swamys blessings informed about her leaving Srirangam . She longed to have something special to remember her Acharyar forever and hence pleaded Swamy Ramanujar to bless her with Swamys Padukas . 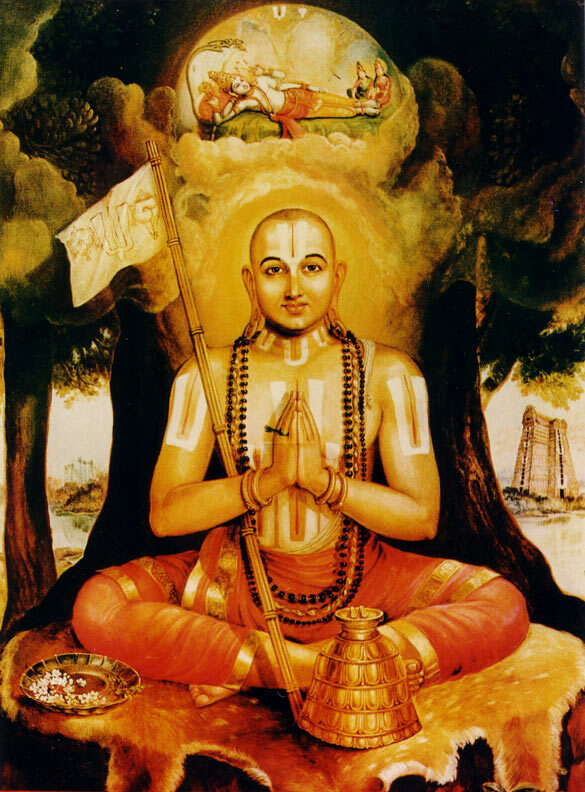 Swamy Ramanuja gave his pair of divine sandals (Padhukas) on the request of his disciple . With much relief and joy, she returned back to her native place. 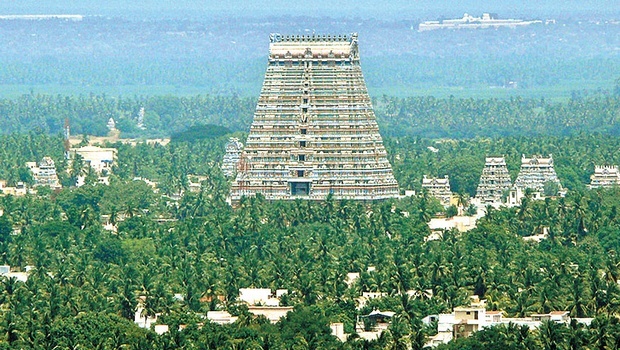 Years rolled by, By divine will Swamy Ramanuja had to leave Srirangam for some time . After few days of trekking though the Nilagiri hills and the dense forests , Swamy along with his disciples saw few tribal people nearby . Looking at the srivaishnava marks and the aura they came near them and inquired about their well being . On knowing they were from Srirangam , they inquired about Swamy Ramanuja well being . 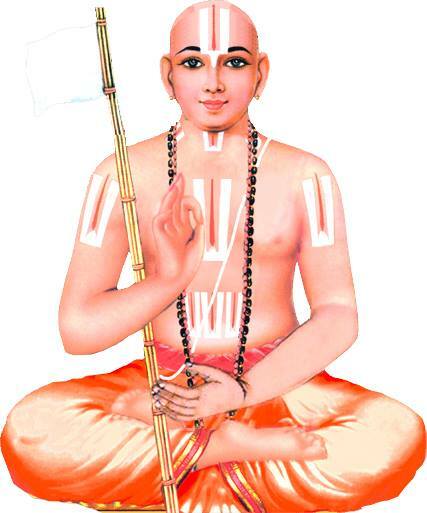 They could not identify Swamy Ramanuja among them due to the white dress worn by the Holy seer . The tribals lead them to the heart of Nilagiris with utmost caution as it was dark and the weather was too chilly . Trekking almost for many hours they reached the Chiefs house . The Chief had gone on hunting rounds . They requested the chiefs wife to take care of the sri vaishnavas with due respects as they were disciples of Swamy Ramanuja and their Guru Nallan Chakravarthy had commanded them to accept Swamy Ramanuja as their Maha guru .Touched by the august presence of almost 50 disciples the Chief offered fruits and honey . He knew the brahmanas will not eat at their place .He commanded his men to go to the neighboring village to the house of a brahmana by name Kattalai vari along with abundant provisions to honor the revered guests with food without any delay . The wife of Kattalai Vari was our KONGIL PIRATTI also called as Chelanchalamba . Now , the disciples along with Swamy Ramanuja reached Kongil Pirattis hut . She was overjoyed to have darshan of so many sri vaishnavas in the remote forest . She offered her humble obeisance and prostrated them . She pleaded them to honor the food at her place . The disciples were keen to know her discipleship for entertaining her in cooking for them . She politely replied she was a disciple of Swamy Ramanuja and requested them to reveal their Acharyars name . When the disciples echoed it was Swamy Ramanuja she happily said that It was a great honor to cook for them and hence allow her to cook food for them . All the time ,while she was cooking , the chanting of her Acharyar Thirunamam was going on . She also recited few Prabhandam pasurams . After completing her cooking , she took all the dishes in a clean basket into the chapel . She offered her obeisances to the sandals that was given by Swamy Ramanuja . She offered the dishes to the Padukas and mentally chanted few slokas . Once done , she went to the srivaishnavas and asked them to honor the maha prasada. The diciple who was observing the scene went to Swamy Ramanuja and informed how exactly Kongil Pirattis was cooking in the kitchen . The disciple said as it was dark in the chapel and he couldn’t really see whom the dishes were being offered . Though Swamy Ramanuja knew whose sandals they were , he called Kongil Piratti and said , my mother ! can we see the sandals whom you are worshipping . Kongil Piratti without any inhibition brought the sandals among the disciples . The disciples informed her Swamy Ramanuja was amongst them .Immediately she offered the sandals and when Swamy decorated himself with the sandals , her joy touched new heights .She was ecstatic and felt overjoyed . Offering obeisances and washing the lotus feet she apologized that she couldn’t recognize as Swamy Ramanujar was wearing white dress . Out of abundant mercy Swamy Ramanuja said , Lord Krishna dined with Vidura , Lord Rama had fruits from Sabari and all of you shall honor the prasada served by our Kongil Piratti . Kongil Piratti humbly submitted , Acharya please have some fruits from us . Acharyar with compassion partook few fruits and blessed her . Kongil piratti served the prasada to all the disciples and took the remnants along with the Sripada water to her husband . She woke him up and said , My dear please have this nectar which we are so fortunate to have . The husband looking at her Acharyar bhakthee asked her why she was fasting ? She replied , My Acharyar had just fruits and remember he is on a fast since one week .What is store for me .. But !!! Promise me you will surrender to asmath Acharyar for initiation tomorrow . The husband readily agreed .The next day Kongil Piratti humbly surrendered to Acharyar along with her husband . She requested Swamy to initiate him into Srivaishnava fold . Swamy Ramanujar initiated him with Panchasamskara and blessed him . After this, memorable incident , Swamy Ramanuja proceeded towards Melkote where he lived for about 20 years. In SrimadRamayana, Bharatha got the divine sandals of Lord Rama and as a servant to Sri Rama’s Padhukas, he ruled Ayodhya for nearly 14 years. In the second instance, Kongu Piraatti got the Padukas of her Acharya Swamy Ramanuja, worshipped them and was performing Poojas daily . 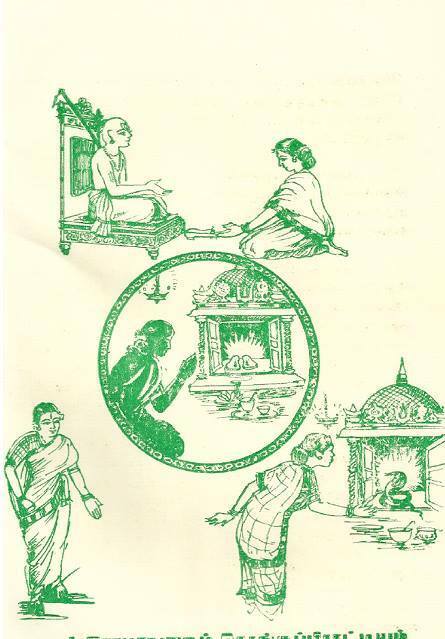 Kongu Piraatti’s husband Sri Kongilachan was also one among the 74 Simhasanadhipathis who propagated Srivaishnavism. Pics credits: Sri Koyil Kongilaachaan Thirumaaligai and google images . Next postWhen one waxes other wanes …. Blessed to see the sandals and know about them. Tears rolled down reading the historical event of Acharya Bhakthi of Kongil Piratti to Swami Ramanujar and also transforming her husband in getting samashrayanam and mantropadesham. 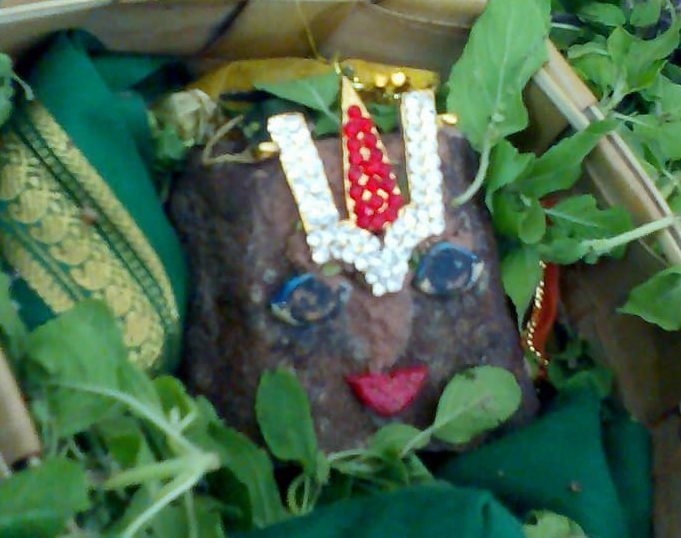 Bharathalvan’s kainkaryam in threthayuga to Sriman Ramar is similar to Kongil Piratti’s kainkaryam in Kaliyuga to Swami Ramanujar. Felt depressed not for the fact of not being born during Swami’s birth time and darshanam of Swami Ramanujar, but felt it for not being born in the family of Kongil Piratti having such an acharya Bhakthi. More over , was more depressed for not knowing about such an history, being a resident of karnataka and residing in Bangalore all these days for 25 years or more. With your ahirvadams, planning to pay my humble namaskarams to Kongil Piratti and grace all of us to become srivaishnava’s under any Ramanuja Swami’s Jeer mutts in India, and finally reach Sriman Narayana’s abode . It is not for any benifit like give and take vyaparam, but serve the divya dampathihi constantly without any sort of interruptions/ ego etc. Swamin, Request you share your experiences such that given for Kongil Piratti and your mukthinath experiences in a very lucid presentation style, so that we could all experience it practically. Your presentation of the whole history is really excellent and very divine.Adiyen while enjoyed thoroughly would seek your help.Is this DIVYA PADUKA of OUR GREAT ACHAARYA available today.We will be highly blessed to have this sacred information during this SAHASRAABDHI year.Please enlighten if not difficult to share. Wonderful!! What a Acharyan bakthi!!! Thanq u sir fr valuable divine information. Thanq very much fr divine info.